Byakuya on a wall with blood splattered everywhere, and a man with white hair (sorry for me not knowing his name; I have yet to actually read the manga, besides the first three volumes) says, "It seems Byakuya Kuchiki is dead." My question is: is Byakuya really dead, here, or does he come back and whatnot? This scene looks as though he is, but we've seen desperate situations-like this-in the past chapters (or episodes) of Bleach where the character isn't truly dead; they come back later making a dramatic entrance, looking even more badass than before. See what I mean? 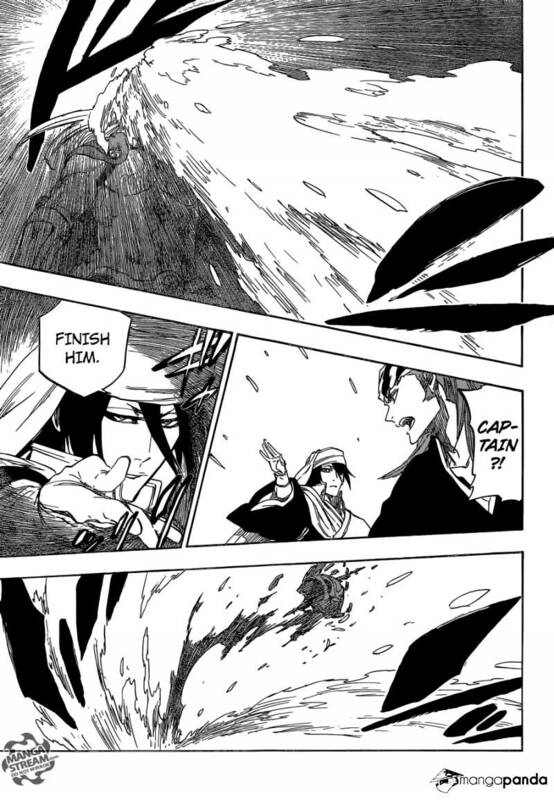 This CAN'T be the end for Byakuya Kuchiki. It just can't! He gets better. And gets a power-up. He hangs on by a thread. And then Squad Zero--recall we heard about them during the Turn Back The Pendulum arc--shows up when the Quincies leave. One of them takes Byakuya and a few others with them up to the Royal Palace. Byakuya and a few others then get healed up, equipped, and trained in the Royal Palace. I left a fair amount of details out of the above, so some things won't be spoiled, but it still spoils a fair amount even in its vague brevity. Kuchiki Byakuya didn't die here. He was saved by the zero division. And he shows up in chapter 655. Where and how does the Bleach anime diverge from the manga? Do the Bleach light novels follow the manga plot? Is this girl really from Bleach? Why did Bleach anime stop airing? And did Bleach manga also end its serialization? Which chapter in the Bleach manga corresponds to the last episode in the anime? When does season 9 of Bleach take place chronologically? When does the Bleach OVA occur in relation to the anime?